Nicolae is a Partner of CEE Attorneys office in Bucharest. He specialises particularly in corporate law, M&A, public procurement and PPP, EU funds, oil and gas, energy and natural resources, real estate and security law, intellectual property, data privacy, consumer protection and employment. CEE Attorneys has provided legal assistance to Makalius.lt, Lithuania’s leading tour operator. CEE Attorneys prepared a shareholder agreement along with other legal actions, which led Makalius.lt company brand and business expansion: establishment of a subsidiary – tourism company in Thailand. CEE Attorneys advised – AB Ortopedijos technika on the sale of shares to the second largest shareholder, Ortofina. CEE Attorneys represented the seller in negotiations, provided legal support in structuring, closing the deal and preparation of all necessary documents. The value of the sale contract EUR 10 million. CEE Attorneys advised Lithuania’s Audėjas Group, the country’s leading upholstery producer and furniture retailer, in a successful accomplishment of several interrelated complex real estate transactions with total value of more than EUR 11 million. CEE Attorneys provided legal assistance to Olympian Parks Group, a major developer of logistics and industrial parks, in all legal matters, including general counselling and assistance in the divestment, regarding the operation and development of 4 industrial parks with approx. 100,000 sq.m. of gross living area, located in Romania. 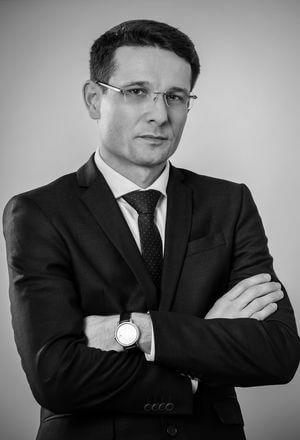 CEE Attorneys has successfully represented Budimex, one the biggest Polish construction companies, in the Court of Competition and Consumer Protection, as well as in significant lawsuits with other developers and housing communities. CEE Attorneys negotiated and provided legal services to One Fashion Outlet Group, the owner and operator of Slovakia’s first outlet shopping centre, with respect to senior loan in the amount of EUR 15 million from a syndicate of three banks for the construction and operation of shopping centre. CEE Attorneys represented KOMA Modular, leading modular construction company in the Czech Republic, in the acquisition of DOSTING, a thermal insulation producer. The acquisition deal also included post-transaction reorganisation of the purchased company and its incorporation into the KOMA group. CEE Attorneys have provided a comprehensive legal assistance in the initial public offering (IPO) of the Xpediator Plc. shares on AIM, the alternative investment market of the London Stock Exchange. CEE Xpediator Group controls Delamode, Pall-Ex and Affinity brands, and is a leading provider of freight management services across the UK and Europe – Romania, Bulgaria, Macedonia, Montenegro, Serbia and Moldova, employing more than 600 people. The group has raised GBP 5 million as part of the float. CEE Attorneys assists Safehomes LLC, a company with 100% Turkish investment, which offers accommodation to tourists and other visitors of Kiev in its mini hotels. CEE Attorneys has provided Safehomes with best real estate propositions of in the city centre of Kiev, developed its business structure and prepared a tax planning scheme.